Home / Dental Assistant / Dental Assisting Articles / What is a Certified Dental Assistant? 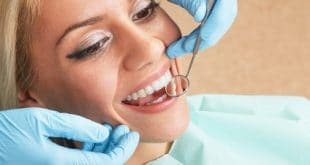 A certified dental assistant is a credentialed professional whose main responsibility is helping a dentist treat patients. 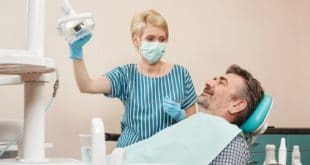 During the course of a day certified dental assistants perform many tasks including preparing patients for their treatment, sterilizing dental equipment, collecting patients’ dental and medical information, taking x-rays, and educating patients on how to properly care for their gums and teeth. This is not a required part of your schooling, however, it is a great way to practice your newly learned skills in chairside assisting, oral anatomy, dental pathology, dental radiology, and dental pharmacology. Listing an externship along with certification on your resume can make you stand out among job other applicants. You can take the three sections at the same time or you can take them individually as long as you complete all three portions within a five-year period. You must score at least 400 in order to become certified. Once you’ve earned your credential, you need to renew your certification every year. To do this, you must take at least 12 credits of continuing dental education. A certified dental assistant can choose to become an insurance claims adjuster, office manager, or sales representative. And many other certified dental assistants return to school to become a dental hygienist. The U.S. Bureau of Labor Statistics reports there will be a 31% employment growth for this field until 2020. According to the Bureau, the median annual wage for dental assistants in 2013 was $35,640. The top paying states are New Hampshire, Minnesota, Alaska, and Massachusetts. If this sounds like an exciting career to you, contact us to learn more about working in the dental field. Next Is a Nurse Manager the Career for You?